With initial support from JPMorgan Chase & Co., Syracuse University’s Institute for Veterans and Military Families and the Maxwell School are collaborating to introduce a new and innovative program for veterans and military family members who aspire to public office or another form of a political career. The “Veterans in Politics” (VIP) initiative is designed to act on the opportunity associated with the affinity for civic engagement and public service demonstrated by those who have served the cause of the nation’s defense. Despite gains in the 2018 election cycle from a recent historic low, veteran representation in Congress has declined from more than 75 percent in the 1960s to 19.1 percent today. The VIP program will enroll its inaugural class in late 2019. The program will feature both online coursework and a one-week intensive residency. VIP curriculum will cover election law; party politics and public policy; creating, managing and leading campaign teams; campaign finance; understanding voters; message development; mobilizing volunteer teams; responding to citizen issues; and conflict management, among others topics. 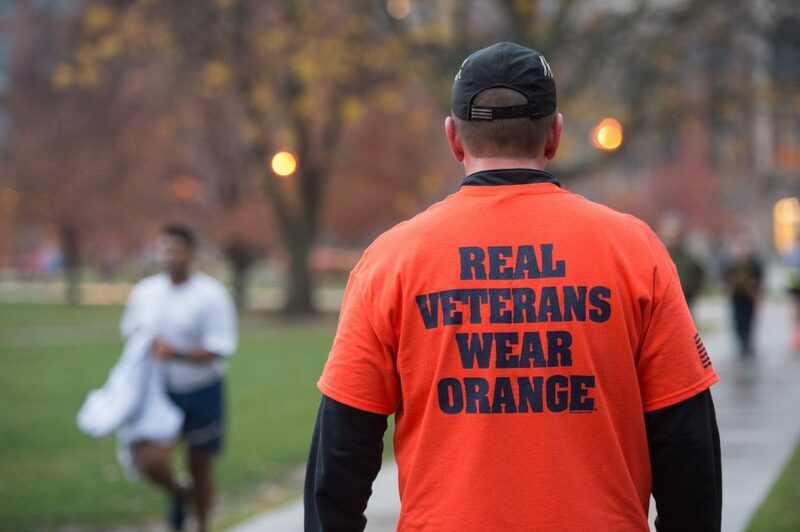 The VIP program aligns with Syracuse University’s commitment to be the “best place for veterans” and the military-connected community. Consistently ranked among the top 10 best universities for veterans, Syracuse was most recently ranked by Military Times the No. 1 private school for veterans and the No. 4 school overall in 2018. The University is one of only 15 Pat Tillman Foundation University Partners. Now in its second year as a partner institution, Syracuse was selected for its innovative veteran services, strong culture of support for military veterans and spouses, and its rigorous academic programs. The Maxwell School is home to the nation’s No. 1-ranked school for graduate education in public affairs (U.S. News & World Report), offering graduate professional degrees in public administration and international affairs. It is also Syracuse University’s home for innovative teaching and research across nine social science disciplines (anthropology, citizenship and civic engagement, economics, geography, history, international relations, policy studies, political science and sociology). The University is furthering its commitment to the veteran and military-connected population with construction of the National Veterans Resource Center (NVRC), a first-of-its-kind, multi-use facility dedicated to advancing academic research, programming and community-connected innovation serving the social, economic and wellness concerns of the nation’s veterans and families. The NVRC is scheduled to open in spring 2020. The VIP program marks another collaboration between the University and JPMorgan Chase in support of the military community. JPMorgan Chase co-founded the IVMF at Syracuse University and is a major funder of Onward to Opportunity, a career preparation and employment training program, available online and operating on 18 military installation communities across the country. To date, the IVMF has served more than 125,000 veterans and members of the military community, an impact made possible thanks to JPMorgan Chase’s commitment to the military community and as the institute’s largest corporate contributor. JPMorgan Chase’s dedication to the military community is widely recognized and practiced in the firm’s operations. Since 2011, more than 14,000 veterans have joined the employee ranks of JPMorgan Chase, and the firm has developed several supportive programs including the Veteran Jobs Mission—previously the 100,000 Jobs Mission—a coalition founded in 2011 with the goal of hiring 100,000 veterans. Now over 200 members strong, the coalition has collectively hired more than 500,000 veterans with a commitment to hiring one million. To request more information about the VIP program, visit www.maxwell.syr.edu/veterans-in-politics. The Institute for Veterans and Military Families (IVMF) is the first interdisciplinary national institute in higher education focused on the social, economic, education and policy issues impacting veterans and their families. Through its professional staff and experts, the IVMF delivers leading programs in career, vocational and entrepreneurship education and training, while also conducting actionable research, policy analysis and program evaluations. The IVMF also supports communities through collective impact efforts that enhance delivery and access to services and care. The institute, supported by a distinguished advisory board, along with public and private partners, is committed to advancing the lives of those who have served in America’s armed forces and their families. For more information, visit ivmf.syracuse.edu and follow the IVMF on Facebook, Twitter and Instagram. The Maxwell School of Citizenship and Public Affairs is Syracuse University’s home for innovative, interdisciplinary teaching and research in the social sciences, public policy, public administration and international relations. It is consistently ranked among America’s top graduate schools of public affairs (U.S. News & World Report), offering highly regarded professional degrees alongside advanced scholarly degrees in the social sciences; it is also home to Syracuse University’s undergraduate programs across the social sciences. Maxwell scholars conduct wide-ranging research through 10 interdisciplinary centers, each focused on a topical area within public affairs, such as governance, social and economic policy, conflict and collaboration, public wellness, aging, energy and environment, national security and regional studies. For more information, visit maxwell.syr.edu. Syracuse University is a private, international research university with distinctive academics, diversely unique offerings, and an undeniable spirit. Located in the geographic heart of New York state, with a global footprint and nearly 150 years of history, Syracuse University offers a quintessential college experience, as well as innovative online learning environments. The scope of Syracuse University is a testament to its strengths. At Syracuse University, we offer a choice of more than 200 majors and 100 minors offered through 13 schools and colleges and 18 online degree programs. We have more than 15,000 undergraduates and 7,500 graduate students, more than a quarter of a million alumni in 160 countries, and a student population from all 50 U.S. states and 123 countries. For more information, visit syracuse.edu.